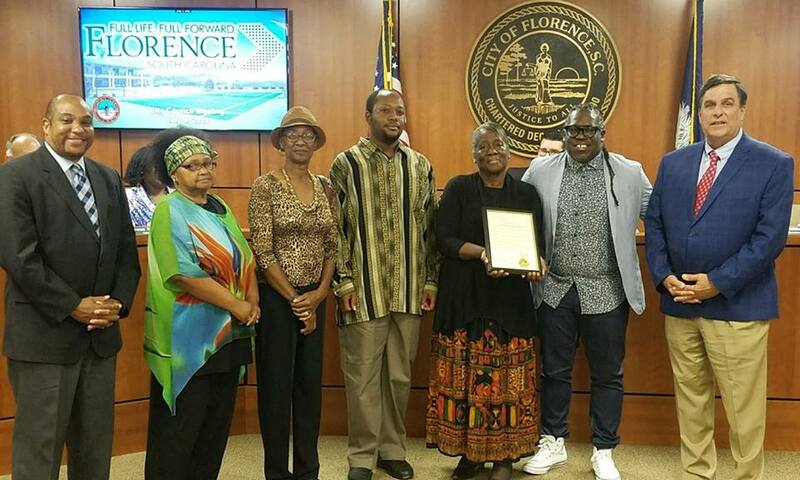 Ezra Brown was recognized by The Greater Florence Chamber and Florence City Council . The resolution was honoring Soule’ Cafe’s contributions to the overall efforts to revitalize Downtown Florence. This resolution is awarded quarterly by the Chamber and the City of Florence. 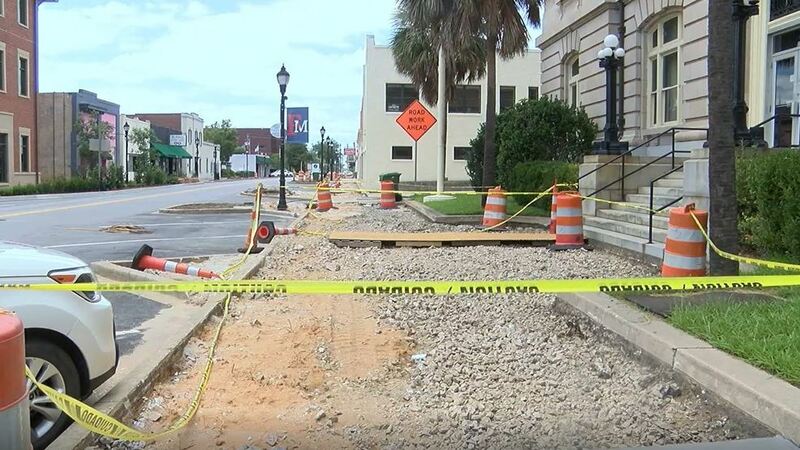 FLORENCE, SC (WPDE) — Construction cones and signs have taken over downtown Florence. It’s no secret the area has grown and now the city is putting even more money into the area. “I think downtown has come a long way and it’s something that Florence really needed,” Myranda Clark said. Clark grew up in Florence and loves the change in downtown. The city wants it to grow even more. “We see that footprint of downtown expanding and hopefully that coincides with expansion of investment downtown and businesses and others,” Mayor Stephen Wukela said. The city started street and sidewalk construction on West Evans Street and will continue it to Baroody Street, and North and South Dargan Streets. “Brick the whole width it really gives you a sense of a wider sidewalk and of course those beds are redone,” Wukela said. With the new hotel coming and more traffic expected, a traffic circle will go at the intersection of Baroody and East Evans Streets. “Changing in the stripping of Baroody Street to allow for some more parking there and a bike lane,” Wukela said. A pocket park with a splash pad is coming and Clark’s niece approves of it. “I would totally use it. We really need one in Florence because a lot of them are in like Hartsville,” Emory Clark said. “It’ll cool the area. It’ll sound nice. It’ll attract young and that’s something we’ve heard a lot and we feel that we really need to do to have some access to young children,” Wukela said. The roughly $2 million project is funded with a TIF (tax increment financing) so there’s no additional cost to taxpayers. “Tax dollars from the growth downtown funding improvements downtown,” Wukela said. Myranda Clark is excited for all the changes. “I think downtown is a great place for it’s very kid friendly very family friendly,” Clark said. Mayor Wukela said the projects should all be completed by spring 2019. Mayor Wukela said the plans for Baroody Street are designed, but construction won’t start until after the hotel is built. FLORENCE, S.C. — The Rev. Merritt Graves says he wants to be remembered a lot less for what he did and a lot more for what God did through him. Graves, the pastor at Mt. Zion AME Church, served as the Greater Florence Chamber of Commerce’s Board Chairman during the 2017-18 term. During that time, Graves said, he was able to build valuable relationships. Graves was named to serve on the Chamber board by the nominating committee. During his time serving on the board, he was nominated to be the chairman-elect. That’s when he took over as the 2017-18 Chamber board chairman. On Sunday, July 1, Graves rotated off as the chairman. Mike Miller, president of the Greater Florence Chamber of Commerce, said Graves was able to help the chamber improve as a result of his leadership. Graves said serving with the Chamber is something he has enjoyed doing. Graves added that the success of the Chamber couldn’t be possible without its staff members. 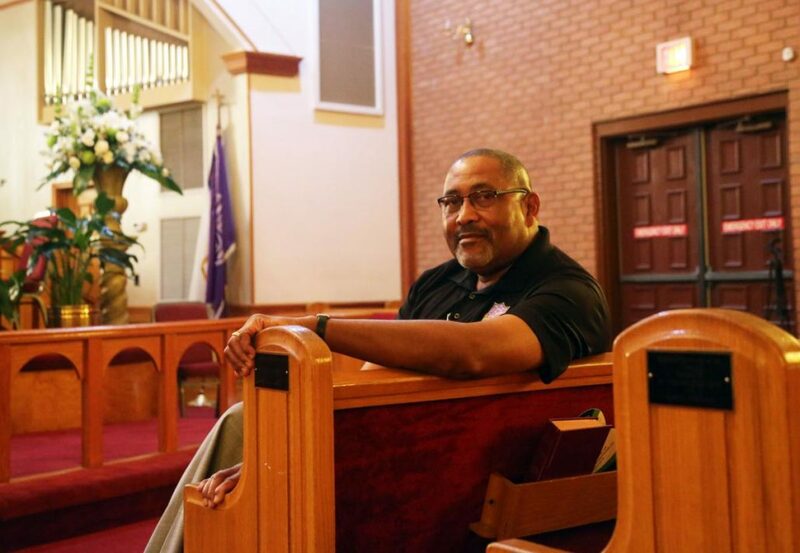 Graves has been serving in the ministry for 30 years. He said that he served in the Pamplico area for 14 years before being moved to Mt. Zion AME Church in 2008. He said he appreciates his family’s support and the sacrifice that they make serving in the ministry. Graves said he will continue to pastor his church and work in the community through the ministries of his church. He also is excited about partnerships with other churches and organizations to make the city of Florence a better place. FLORENCE, S.C. — The folks who brought the Florence area Tubb’s Shrimp & Fish Co. and King Jefe Taco Bar are looking to bring another delicacy to local residents, this time in the form of an American burger. Business partners Steve Toniolo, Kyle Hardee and Travis Miller told the Morning News that they plan to open Revival Burger, a quick-serve restaurant, specializing in Americana cuisine. Toniolo said the new burger restaurant is an opportunity for the partners to give Florence something a little different. Hardee said the partners are eyeing a September opening. He said the location, at 846 S. Irby St. is in a place with a high traffic count and the building — which previously was a Bojangles’ — provides them with the perfect layout to have an efficient restaurant. 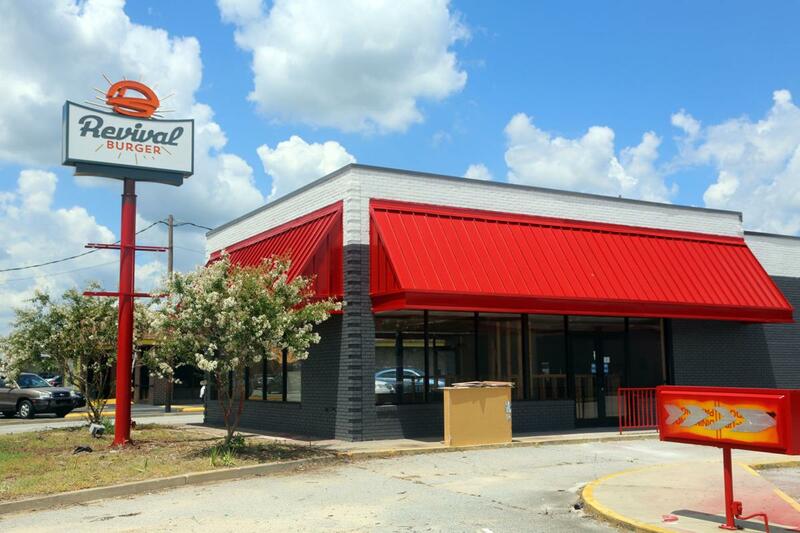 The restaurant will offer a variety of burgers with a special Revival house sauce and many other items, including hot dogs and chicken sandwiches. The partners said that they will create burgers using many of their unique products, including their pimento cheese and Tomato Bacon Jam that are both used at Tubb’s.